Former first lady of United States of America, Barbara Bush has died aged 92, triggering an outpouring of praise for the matriarch of a Republican family once at the apex of American politics. 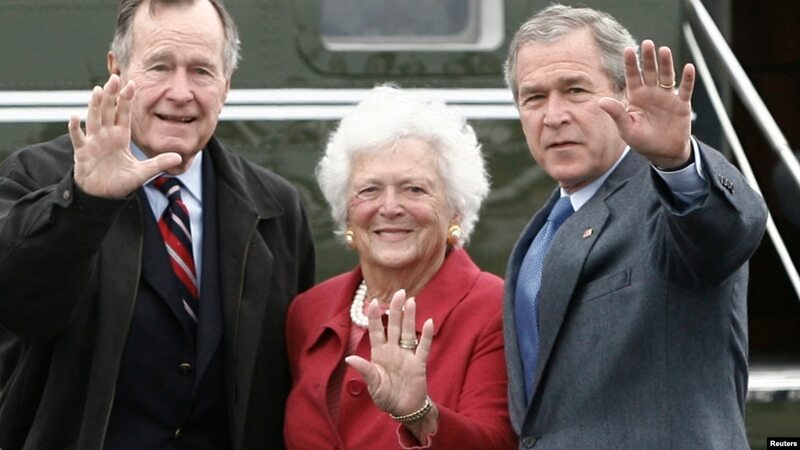 Only the second woman ever to see both her husband and son sworn in as US president, the Bush family revealed she passed away in the early hours of Wednesday morning after a long illness. The family had said on Sunday that her health was failing as she would seek no further medical treatment for congestive heart failure. Mrs Bush, the wife of President George H.W Bush and the mother of George W Bush was being cared for at her home in Houston, Texas. Hailed by many as the most popular First Lady to preside at the White House, Mrs Bush’s plainspoken manner and utter lack of pretense made her more popular at times than her husband. President Donald Trump was one of the first to pay tribute to Mrs Bush, who is widely regarded to have been the rock at the centre of one of America’s most prominent political families. “Amongst her greatest achievements was recognising the importance of literacy as a fundamental family value that requires nurturing and protection,” he said. After first meeting when she was just 16, she wed George H.W. Bush in 1945 and the pair were married for 73 years – longer than any presidential couple in American history. Together, they had six children including former US President George W. Bush, and former Florida governor and onetime presidential aspirant, Jeb Bush.